The benefits we gain from God’s Word multiply significantly as we see how the Lord worked in the lives of His people. Their examples help guide us in very practical ways, enabling us to live the Christian life more effectively and successfully. As readers discover the ways God has worked through His people in the past, they’ll become much better equipped for what God wants to do through them today. 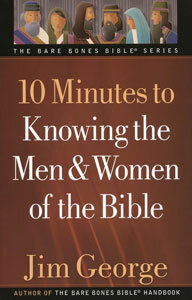 This is an outstanding resource for small group leaders, Bible study teachers, and personal time in God’s Word.